On May 30, 2018, a joint press conference between Mr. Chaiyong Puapongsakorn, Governor of Metropolitan Electricity Authority (MEA) and Mr. Payong Srivanich, President of Krung Thai Bank (KTB) was held at Chaophraya Surasakmontree Room, MEA Headquarters, to announce their collaboration on the launch of the QR Code Cross Bank – an interbank system to provide convenience for energy users in Bangkok, Nonthaburi and Samutprakarn to pay their bills by scanning the QR code on the bills via the Mobile Banking Application. The process can be made through any bank whose system supports the QR code bill payment feature. MEA will acknowledge and immediately remove the outstanding balance from their bills. 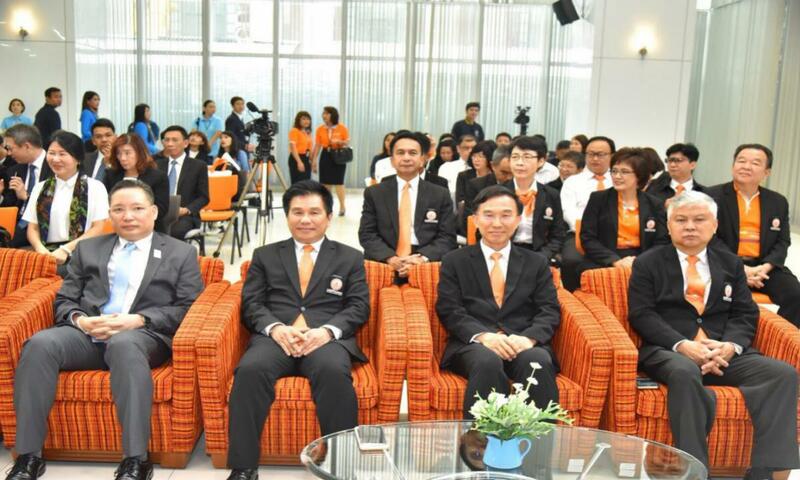 Mr. Chaiyong Puapongsakorn, Governor of MEA said that MEA has been committed to continually improving its service quality. 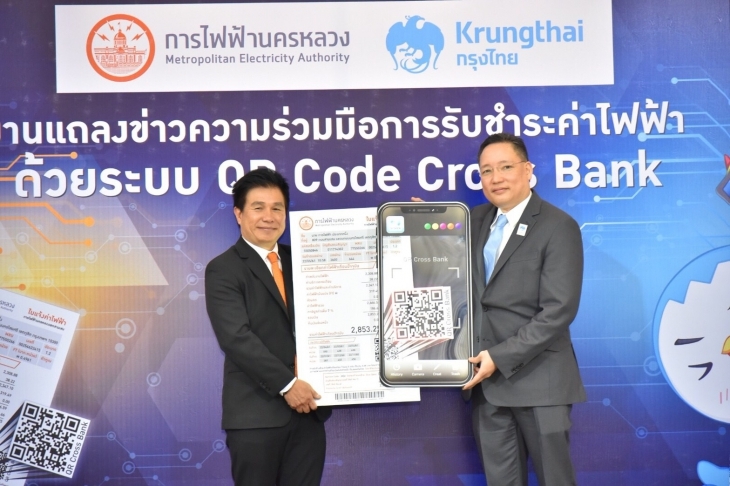 Hence MEA has collaborated with KTB to increase its payment channels through the QR code bill payment option – the first public utility enterprise to receive payment for utilities from customers via the online QR Code Cross Bank. 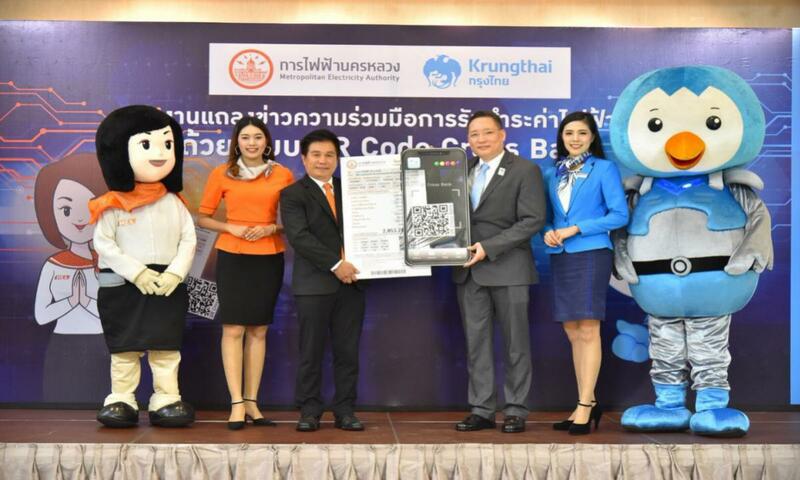 For those who pay the bills by scanning the QR code on the Mobile Banking Application, the bank will immediately transfer money to MEA’s Krung Thai Bank Account where the outstanding amount can be removed by MEA in real time. This system has already been used for electricity bills from May 2018 onwards. 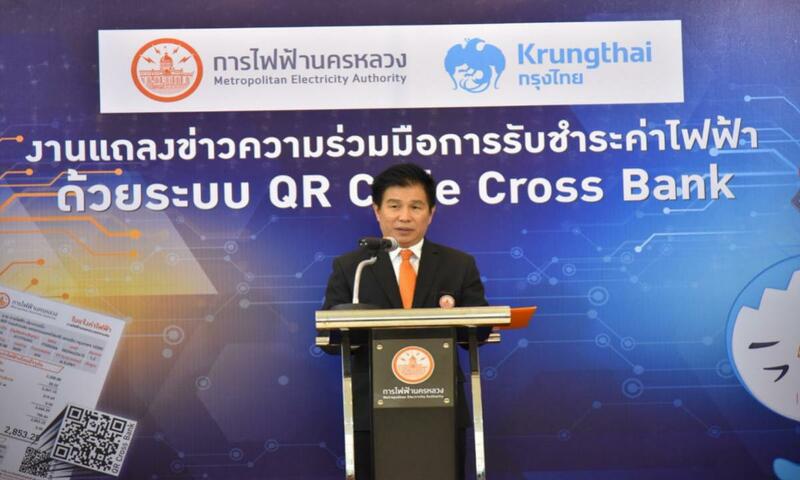 In the future, MEA will develop the QR Code Cross Bank on the MEA Smart Life Application and support payment for other services to provide more convenience to energy users for a better urban quality of life towards Smart Metro. 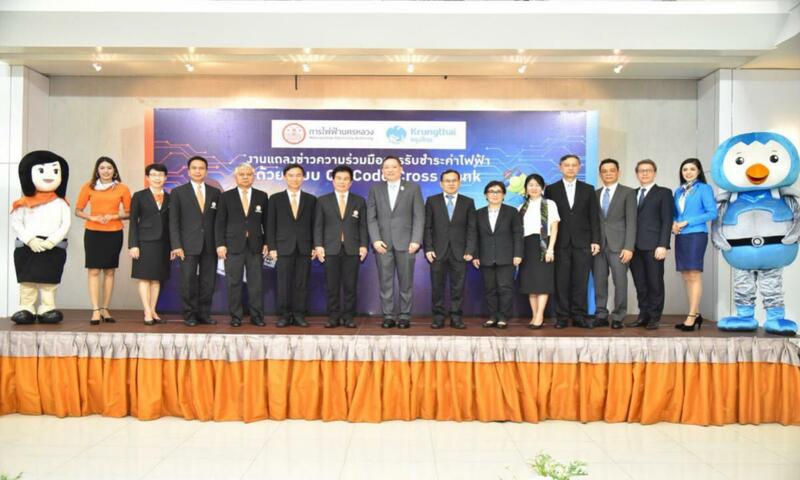 Mr. Payong Srivanich, President of Krung Thai Bank, affirmed that as a state-owned commercial bank, KTB has provided cooperation to turn Thai society into a cashless society by supporting various electronic transactions in accordance with the government’s National e-Payment. KTB has cooperated with MEA to develop the QR code Cross Bank system to facilitate payment of electricity bills. Energy users can make payment themselves by just scanning the QR Code in their bills. This technology not only allows customers the flexibility to pay and eliminates travel issues but also helps them not to worry about duplicate bills because the payment information can be verified. More importantly, if payment has been made through the KTB netbank, the transaction fees will not be charged until the end of this year. Other mobile application fees will depend on the conditions of each bank. 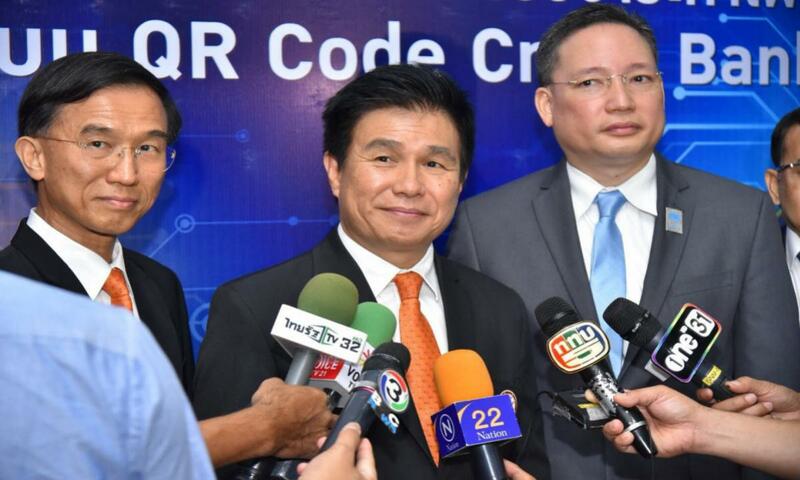 KTB plans to develop and extend the QR code bill payment service to other agencies for a full scale of Thailand 4.0 as well as a part of KTB's Future Banking, said Mr. Payong.